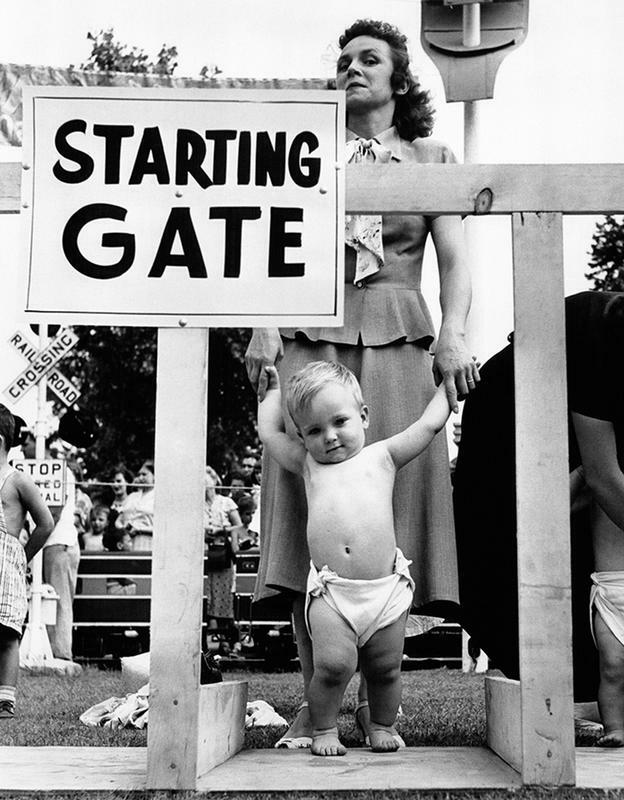 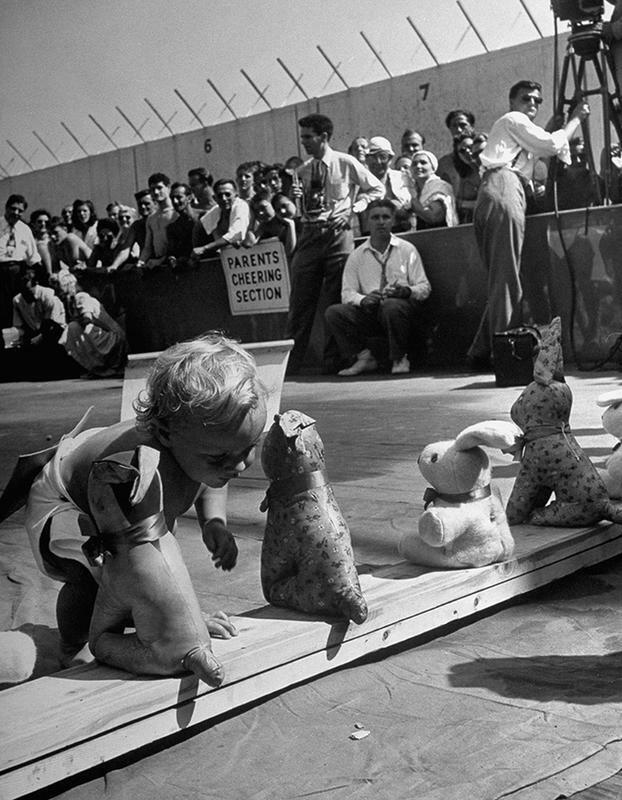 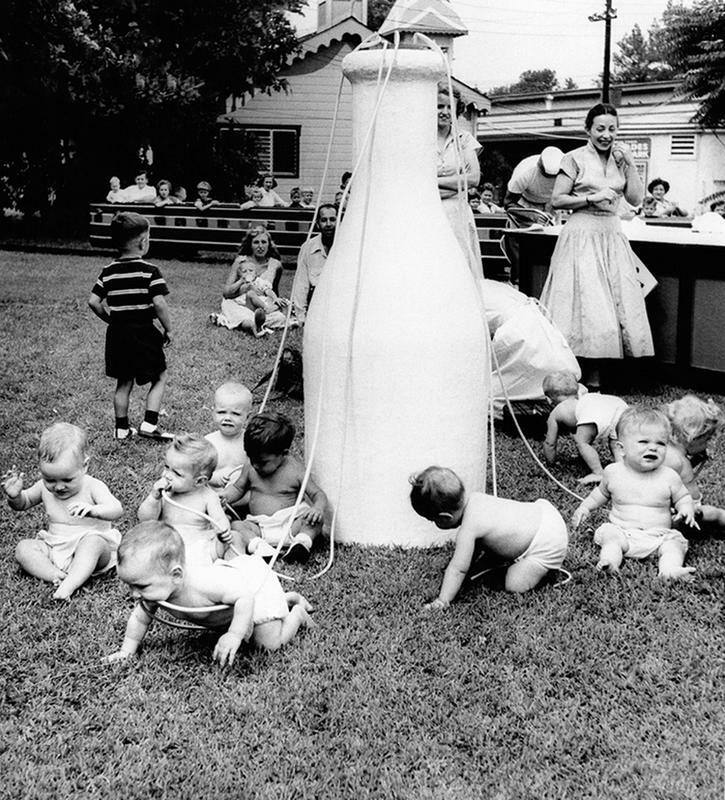 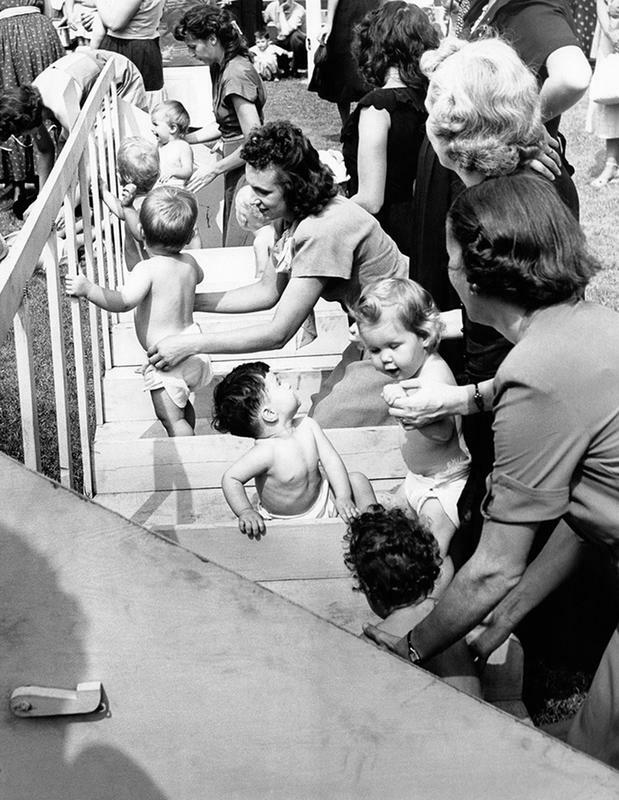 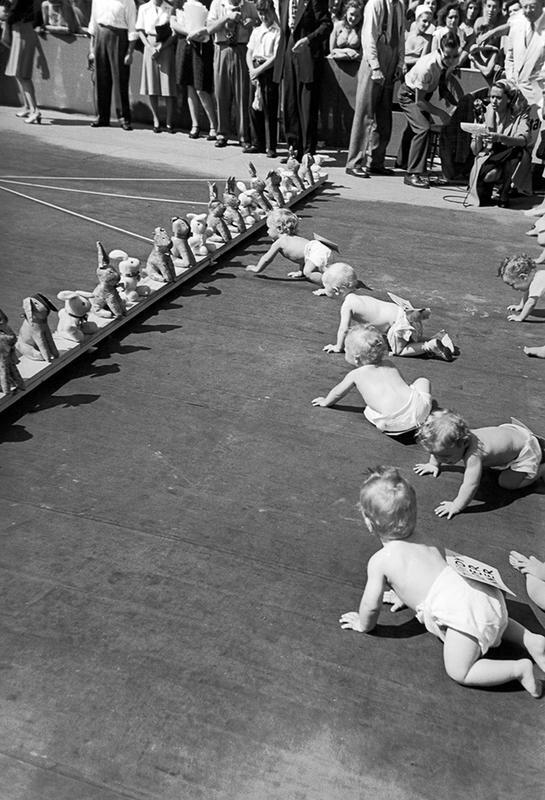 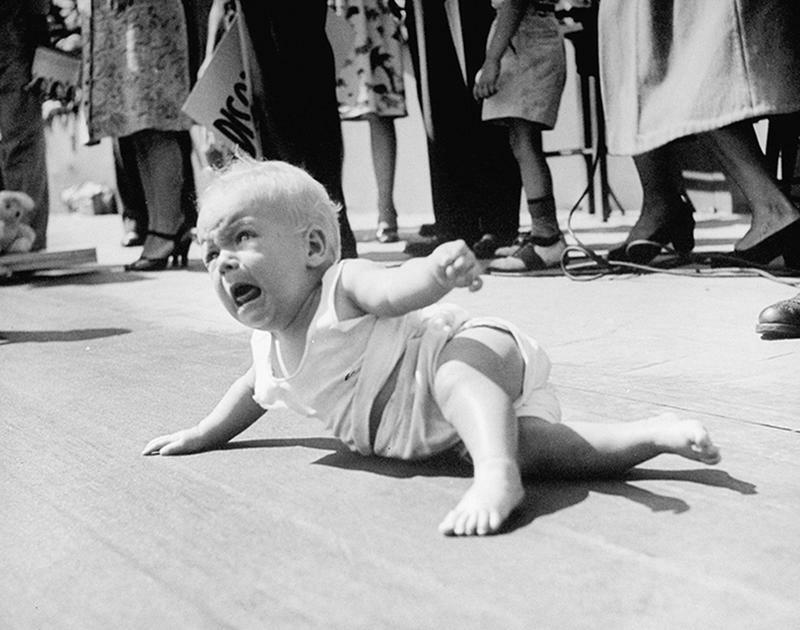 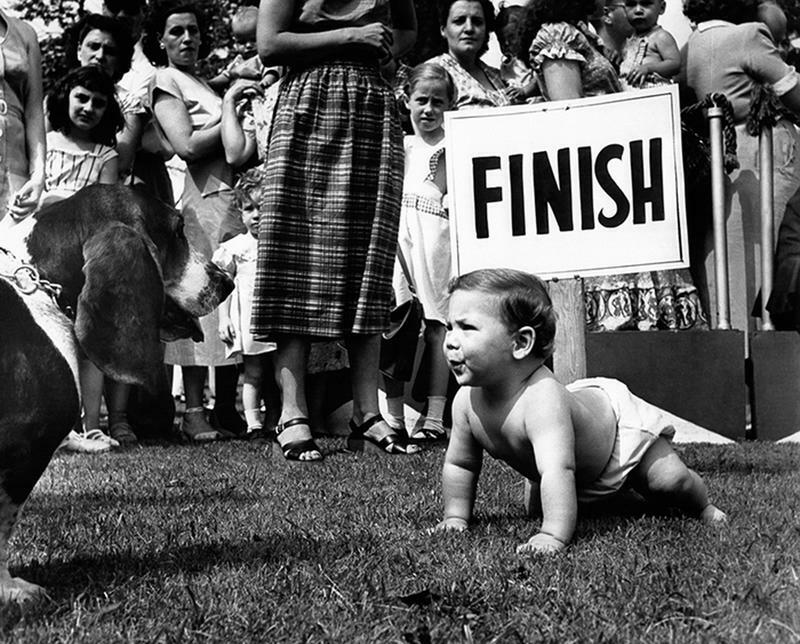 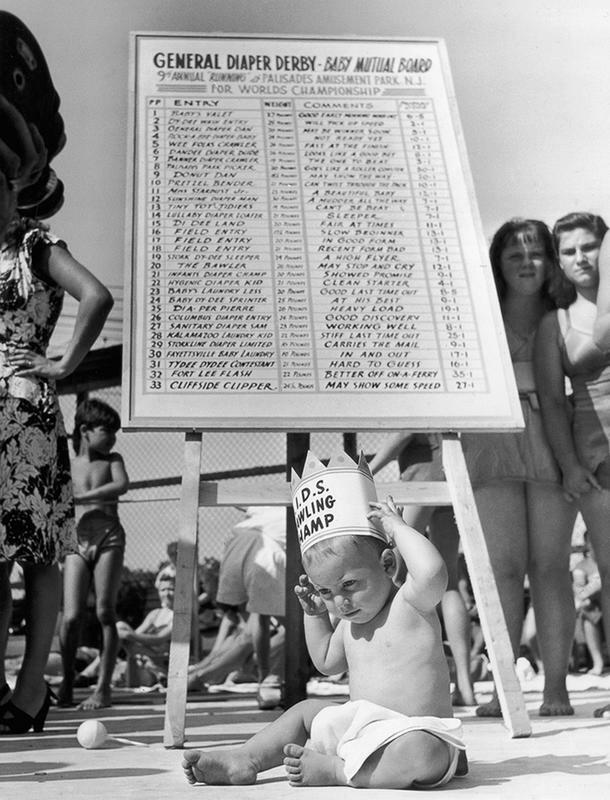 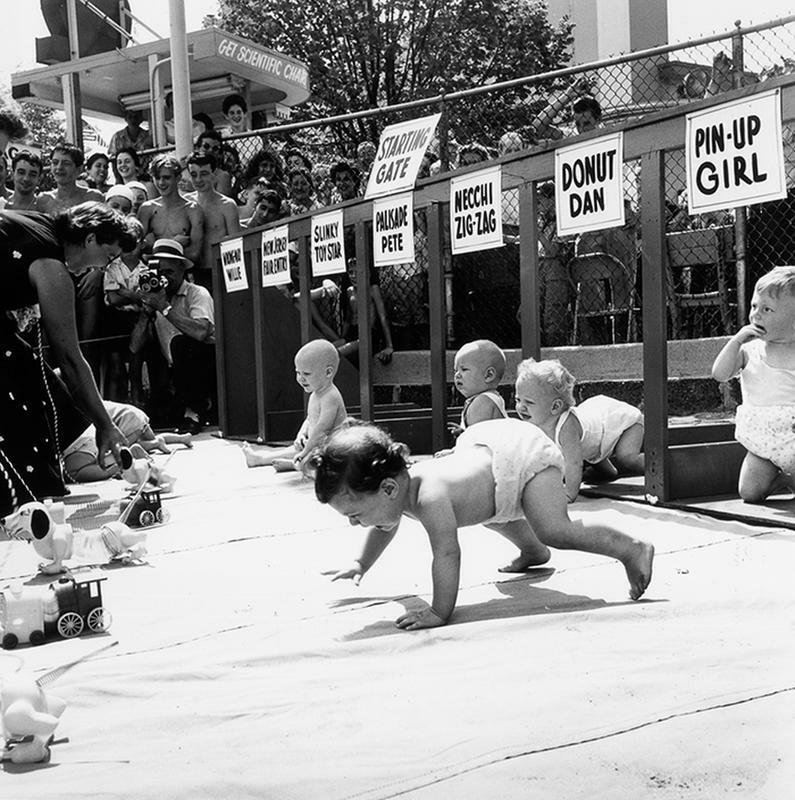 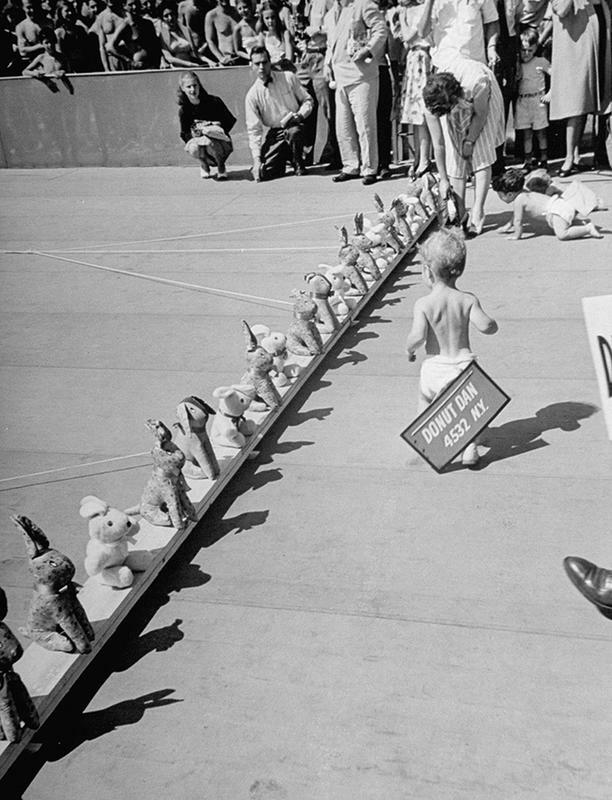 Between 1946 and 1955, the Diaper Derby was America’s most loved sports event. 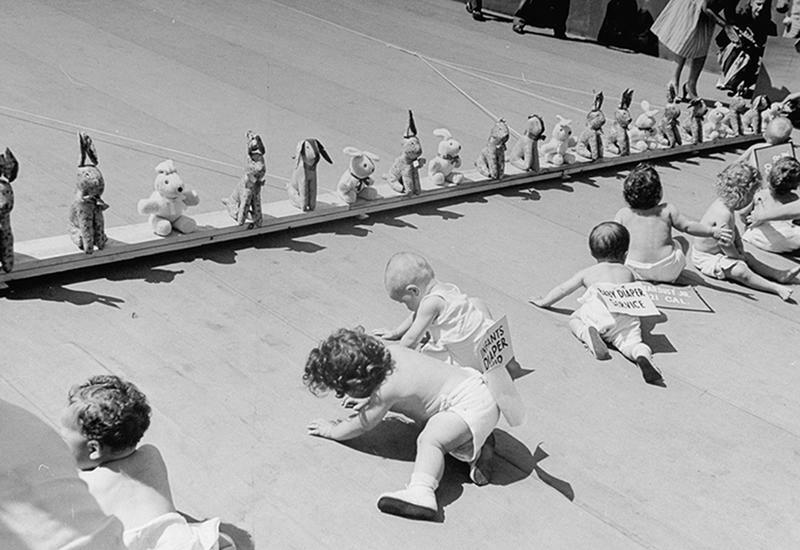 The race is a cutthroat competition among future triathletes as they bear crawl past flashing cameras and gushing spectators towards the finish line of lined-up stuff toys. 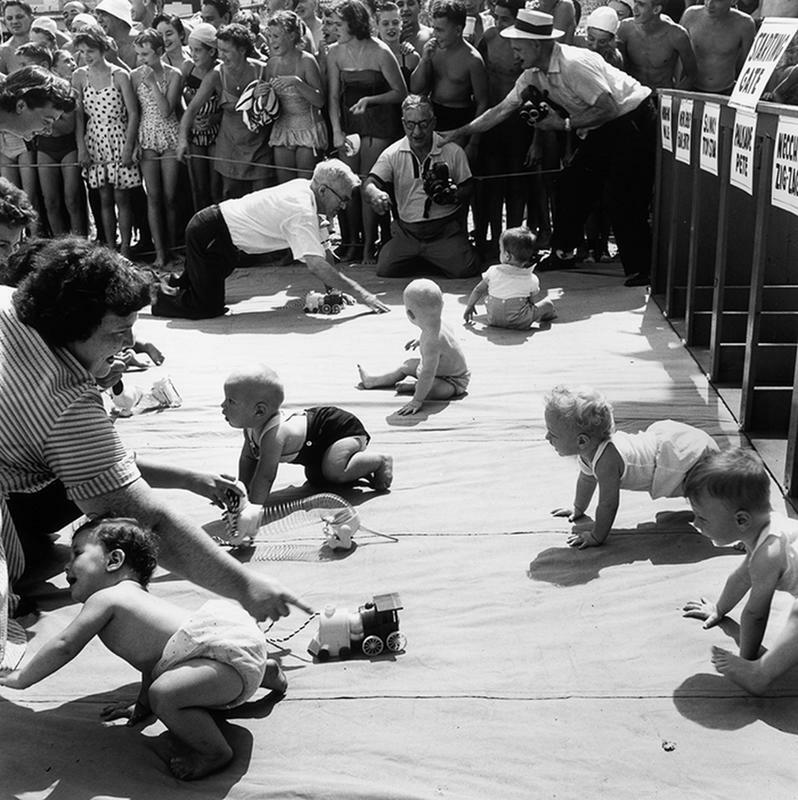 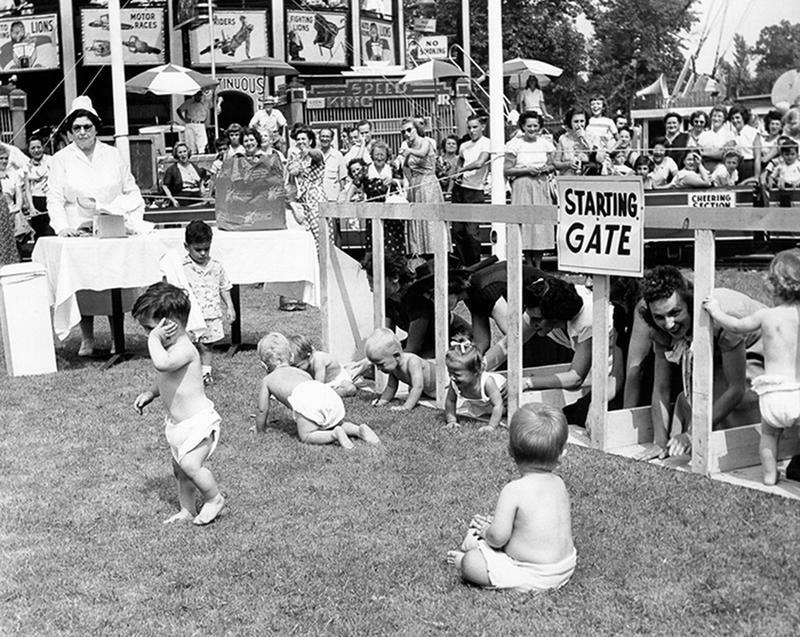 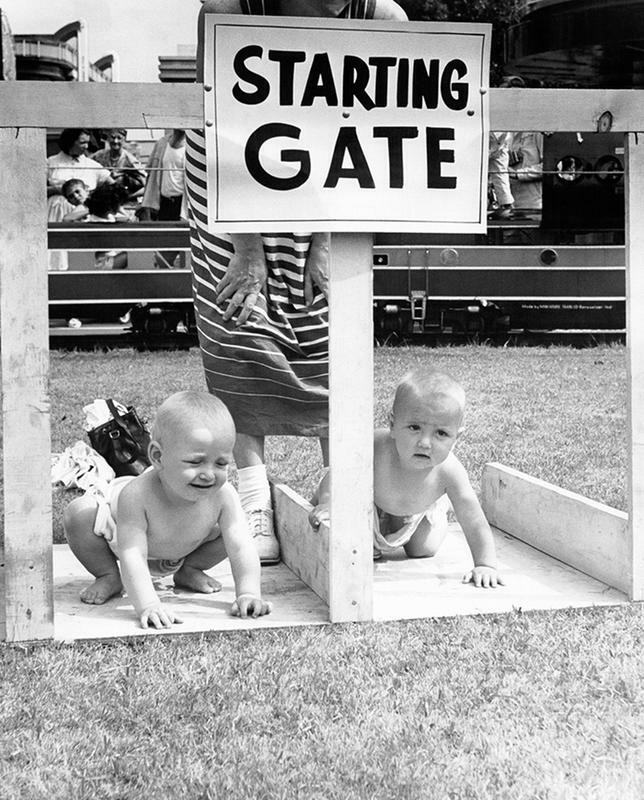 Babies from all over the country would convene at Palisade Park, New Jersey for this cutest and most adorable race in sports history.